People are spending more and more time on their computers at home, as flexible working becomes increasingly common, as well as the market of home businesses also continues to grow too. It is therefore essential to make sure your computer is in a fit state at all times and the best way to do this is to ensure you have excellent computer support on standby. There is a time and a place when it is OK to get the very cheapest deal; however, computer support is not one of these times. If you go for the cheapest quote every time, you will quite literally get what you pay for and may even find it ends up costing you more. You need to understand that aspects of computer support do take a long time and very specialist knowledge; as such you may need to adjust your budget and then pay accordingly. 2. How long does it take to get hold of someone at the company? It’s always a good idea to do a bit of telephone research first, since you don’t want to waste time walking around your local town being passed from one computer support company to another. Calling a few companies to make enquiries first-off is a good way to suss out what they are like as a business. For instance, how long do they take to answer the phone? Do they answer the phone? If you have to leave a message, does it take them a long time to call you back? Do they even call you back? This exercise is well worth doing because it gives you real insight into what their customer service is like. If they can’t answer phones and customer enquiries properly, do you trust them with your computer? 3. Do you get a good feeling from the way they answer the phone/ greet you in-store? If you do manage to get to speak to an employee of the computer support company, are you impressed with their customer service? Are they professional and do they give you the impression that their company is one that you will be able to rely upon? You can tell a lot from a person’s telephone greeting, as well as their greeting when you physically walk into their store. You want to hear enthusiasm in their voice and for them to convey their interest in whatever computer problems you might be having, as well as express a desire to want to help you. In this day and age, if a computer support company doesn’t have an online presence, they are probably best avoided. With this in mind, you need to check out their website. Keep in mind, as a computer support company; they should be able to present you with a decent website. Once again, if the website is rather dilapidated and unkempt, it’s probably a good idea to move on to a different company. Every single functioning business who has a website must display their contact details on their site. Be sure to look for these details and look for confirmation elsewhere on the web that these are correct. There are a lot of dodgy businesses out there who would be only too keen to take your money and possibly your laptop too and then disappear. Checking these details are correct will confirm that the company you’re about to deal with is authentic and trustworthy. People are getting better at reviewing customer testimonials before they buy a service; however, there’s still a huge number of people that don’t invest enough time in checking out what other people think of a service, before they spend (and sometimes waste) their own money. With this in mind, make sure you read what others have written about the service. You should be able to find feedback on the company’s website, as well as elsewhere on the web. Be sure you don’t just take the reviews on the website into account though since these might not all be real. Typing the company’s name into Google or another search engine is usually your best bet and will generally turn up some interesting reads. James writes for Quintech computer support. When not writing, he can often be found serving as his own home computer support system. Cordless power tools are convenient for performing jobs around the house or off-site. They’re an ideal addition to your current arsenal of tools. If you’re planning on buying a cordless power tool for someone else, or you want to buy one for yourself, bear the following in mind. Cordless tools used to use NiCad batteries. These batteries were fat and cheap to make. They’re much cheaper than the lithium ion batteries used in the slimmed down versions of cordless power tools. NiCad batteries will also take longer to charge. You need to balance price and speed, though. Do you really need to pay an extra hundred dollars for the sake of a faster charging time, despite the fact you only use power tools twice a year? The bigger the tool the more power you’re going to get from it. You don’t need anything bigger than an 18-volt power tool for the majority of jobs. Only the professionals have to get something more powerful. This should apply to everything. If you’re a professional and it is necessary to buy the most powerful tool around, stick with a corded power tool. You’ll need the consistent power and you can’t rely on the battery running out of juice in the middle of your big job. Tools from different companies won’t differ much. The power polisher you picked up from one shop will be almost the same as the power polisher you found in another. This is why companies try to inspire brand loyalty. Their batteries might work with other tools from their range. Instead of focusing on the tool exclusively, look at the accessories available. You might get an extended warranty on your power tool, or it might come with a free tool belt you can use. Older tools don’t have to go in the trash. Some companies are producing modern batteries which fit in older tools today. The cost of the battery on its own will be nothing compared to the cost of buying a brand new tool. Ignore anything to do with the aesthetics. The aesthetics only matter whilst the tool sits on the shelf of the store. As soon as you start working with it, it’s going to get dirty and look awful. It’s building not a beauty pageant! There are different batteries for everyone. The battery you buy depends on what sort of builder you are. If you’re impatient and you want to use your tool all the time, the answer is the lithium ion battery. You can leave it plugged in permanently. The downside is you never know when it’s about to go dead. The tool simply stops. NiCad batteries are great for planners since they die after a while. If someone you know plans meticulously, they’re ideal. On the other hand, someone who builds on impulse won’t appreciate the battery going dead whilst in the middle of building euphoria. This article is contributed by Jonathan Hendricks, an established home decorator. He is also an ardent blogger. He tells his readers to use the Dremel Multi-max for simple repairs around the house. They used to say that you are never more than 6 feet away from a rat but nowadays the same can almost be said about CCTV cameras. It is not just companies that use them as a way to protect their properties, but many residential properties and the police find them invaluable when they are on main streets up and down the country. Not everyone is a fan of the amount of cameras that are in situ, but there is the old adage that if you have not done anything wrong then you have nothing to fear. The United Kingdom is believed to have more cameras per resident than anywhere else in the world, so does that make it a safer country? In all honesty it probably does not, but it does mean there is more chance of the criminals showing up on the film. Walter Bruch a German engineer was responsible for the first CCTV camera in 1942 and they were installed to allow them to watch the V-2 rockets being launched. The USA had Vericon in 1949, but there is no information regarding this or how effective it was. It was the 1970s and the invention of VCR technology that the cameras became very effective and the scenes could be recorded for later scrutiny. The first use was in Times Square by the NYPD to try to combat the crime wave that was there and while it did not seem to be too effective, other forces took to using cameras and hoping they would be a deterrent. The use of cameras grew over the years but it was only really with the 9/11 attacks that they were considered worth of large scale installation. Reviews were carried out and the figures showed that crime was going down were the cameras were placed in New York and Cincinnati. In parking lots there was a slight drop and the same applied to areas were public transport was running. The first cameras were used in Kings Lynn in Norfolk and over the years have been invaluable when it comes to detecting crime although unfortunately not preventing it. Throughout the 1980’s there were trials and they were considered worthy of a widespread roll out of cameras around the country. Public houses have to have cameras inside and out and while it does not stop all crime, there are fewer cases when patrons know they are being watched. Crimes have been solved thanks to the cameras and one tragic case was James Bulger. His life was not saved but his abductors were caught as they were seen taking him away from the shopping centre where he was with some of his family. There has been a downside to the use of CCTV cameras and that is because criminals have found a way to place them at ATM machines and capture personal details. This is costing member of the public and sometimes the banks a great deal of money. All in all CCTV has been successful and while there are some being damaged to prevent material being used, cages are being provided to protect them and stronger materials used when they are constructed. This article is penned by Matt Jackson, a senior executive in a leading financial firm. He is also an avid blogger and shares simple tips through his articles. He feels having your own personal ID card printer for your office can help you save a lot of money. The most crucial part of a photographer lies in a darkroom. No matter you are amateur or experienced photographers you must possess a darkroom. Choosing the darkroom equipments is a tough job. You have to be updated about the latest darkroom equipments and you are supposed to upgrade your equipments. Most of the photographer tries to purchase all the necessary equipments, but above all there are 3 must have equipments which are really needed to work on a darkroom. Every photographer dies for getting absolute critical sharpness. Grain focusing scope has achromatic lenses which are large as well high quality based. You can also increase the brightness, sharpens the images with the assistance from grain focusing scope. Other than this, it helps to understand different types of area. This product is essential to enlarge the vibration as well auto focus of a picture. It will offer you to use the maximum sharpness. This equipment is necessary to resolve the power of lenses. Darkroom equipment consists of chemicals which are to be used for development of the film. Developers are the most essential equipment to develop a film. Photographers both professionals and amateurs most of the time prefers to purchase developer which has positive reviews. Most of the good developers offer black & white film development facility which is still now in huge demand. People opt for these high quality developers because it offers absolute emulsion speed along with proper shadow details. It also provides normal contrast and develops exquisite grain. The best part of high quality developer is, the development latitude of this product allows push processing to adjust the fog. Whether you take general photo or any occasional photo, this developer will do you all type of works. You have to keep in mind to store them in a dark –colored container because they are light-sensitive. Multi grade papers helps in retouching, toning and coloring. It will offer a distinguished texture along with surface quality. It will almost look like a picture make from Hand crafted. The procedure to use this product is same as other fiber base papers as multi grade paper is also made by fibers. You will get 100 sheets per 1 box which are 8” width and 10” length. Other than these 3 most important equipments you will need few items for film development purpose. You have to get Fixer Test solution, Changing bags, Hypo-clearing Agents and wetting agent. Safelights are one of the necessary components in every darkroom since decades. It is recommended to use those safelights which are not so dim and not too bright and properly made for only darkroom purpose. Other than high quality based developers you have to include stop bath and fixers. You can use acetic acid as stop bath. While using this, you have to lower down the level of PH of the developer. Amateur as well professionals still prefer to use plain old fixers which are very easy to use. Mary Sholes is a creative photographer and an ardent blogger. She shares photography tips and advice through her articles. She says for various darkroom supplies at a good price you can visit Huntsphotoandvideo. There are certain components that any electronics business or dedicated hobbyist will need again and again. These are often cheap and readily available, but heavily used and often needed unexpectedly. For this reason, it is a good idea to keep some in stock. This way, you will avoid being unexpectedly caught out and repeatedly spending time purchasing new items. Buying stock for future use also allows you to make more use of online ordering. This is often cheaper, but delivery times make it unsuitable for many sudden, unexpected purchases. Cables are one of the most basic components of all electronic and electrical items and installations. They are, of course, also one of the most essential. After all, without anything to conduct electricity and carry it to vital components, it would be impossible for any device to work. Many common types of cable are used very regularly and sometimes unexpectedly when part of a project changes or an existing cable turns out to need replacement. This is true for multi-core, high-voltage cables that are supplied “raw”, and cut when needed for fixed installations and household wiring. It is just as true for the small, ready-to-use cables that connect the components of a desktop computer to the main power supply. Make sure you stock up on the right kind of cable for your needs. This category may seem slightly vague, but that is because you should apply this principle as widely as possible. If you work a lot with a specific kind of item, don’t throw away every old but usable part even if you won’t be able to find a permanent use for it. Having a working but expendable spare part can often be useful for testing an item and help with fault-finding. This is especially true for modular items such as computers, where the spare part can be quickly inserted for testing, then easily removed again. They may not be electrical themselves, but with most electrical items you will find that screws or nuts and bolts are essential to at least some part. They might hold certain components in place internally or simply hold the casing together. Either way, they may be small enough to be frequently overlooked next to true electronic components, but you will be lost without them. It is possible you may find they have been damaged over time, or that the heads of low-quality screws and bolts will become rounded after being unscrewed and tightened a few times. Even the most skilled workers can lose a screw from time to time as well. There is a wide range of screws and bolts available in the market, so it is worth stocking up on a variety of sizes in case you suddenly need to hunt around for a replacement. Overall, keeping a stock of certain components will be a huge help. These sorts of items are commonly needed so they are sure to be useful at some point. By keeping a stock of them, you can be sure that you will have immediate access to them when you need them and won’t have to interrupt projects to go to get an extra part. Today I am going to talk about two epic smartphones, I am sure that you will enjoy this review and today I will make a comparison between the Sony Xperia Z Ultra and the Galaxy Note 2. As far as hardware concerns go, there is only one similarity between the Sony Xperia Z Ultra and the Galaxy Note 2, they are both significantly larger than your average smartphone. The Z Ultra measures 179.4 mm tall while the Galaxy Note 2 is 2 inches smaller than the Sony Xperia Z Ultra. It is also worthy to note that the Sony Xperia Z Ultra is 3 mm thinner than the Sony Xperia Z Ultra. The Xperia Z Ultra is composed mainly of glass on the front and back, it weighs much more than the Galaxy Note 2, I weighs about 30 grams more than the Note 2. When thinking about the overall comfort of carrying aXperia Z Ultra versus a Note, I can guarantee you that the Note will fit more easily into your hand and into your pocket, you simply cannot carry a Sony Xperia Z Ultra and feel comfortable, it is way too bulky and heavy. The Galaxy Note 2 is 2 parts phone and 1 part tablet while the Xperia Z Ultra is 2 parts tablet and 1 part phone, the Xperia Z Ultra is great in design but it will surely suffer because of the bulkiness, my personal opinion is that the Z Ultra is great for replacing a tablet. The built quality of the Sony Xperia Z ultra is superb likewise the Note 2 is just as super as the Galaxy S4. The Samsung Galaxy Note 2 is made mostly of plastic that is finely design in a hyper glaze finish, the edges are rounded, making it much more comfortable to hold and the end result is a device that does not necessarily feel spectacular in the hand but other features make up for it. 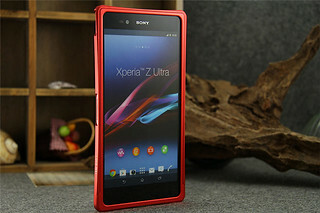 The Xperia Z Ultra wins the hardware battle as it comes it a Snapdragon 800 chipset composed of a 2.2 GHz Quad Core CPU and 2GB of RAM, 16 GB of storage and one microSD slot. The Xperia Z Ultra also features a 6.4 inch 1080p True HD IPS+ display that can make browsing on such a device a pure pleasure, combine this with the 8 megapixel primary camera and the 2 megapixel front facing camera and you can rest assured that the multimedia capabilities of such a device are quite impressive. The Samsung Galaxy Note 2 comes in with a 5.5 inch 720p Super AMOLED display, 1.6 GHz quad-core Exynos chip, 2GB of RAM, 16/32/64GB of storage and a microSD slot. The multimedia capabilities of the Galaxy Note 2 are quite impressive as the phone comes in with a 8 megapixel primary camera and a 1.9 megapixel front facing camera as well as a 3100mAh removable battery. Overall both of these devices are quite impressive. If you are looking for an alternative to the classic Android tablet than the Sony Xperia Z Ultra may prove to be a wise choice, on the other hand, if the Z Ultra is too big for your hand you may want to try the beautifully crafted Galaxy Note 2 but you should keep in mind that the Z ultra has superior hardware specs, in the end it is up to you to decide which smartphone is the best for you. Chris, recognized as a technology expert with years of experience in gadgets and gizmos, computers and latest technologies. He has a passion for technology and loves anything to do with software, hardware, security and gadgets. He is also well known for his articles on technology and gadgets on various websites. His current contribution can be seen on Tcawireless. We use electricity all the time. In most cases, we’ll never encounter any problems with our wiring or with the way our devices consume energy. Sometimes, your wiring might need some maintenance. If you aren’t sure whether something has gone wrong, take a look at these signs. If you notice any of these signs, turn off the electricity and call your local electrician immediately. Circuit breakers and fuses are designed to prevent your electrical devices from blowing up and causing a house fire if there’s a sudden power surge. If you find your breakers and fuses triggering regularly, it could be a problem with the wiring. The only instance where you’re using the wrong breaker is if its rating is lower than the power of the device. This means it’s unsuitable and you need one with a higher rating. Lights which appear dim or seem to flicker are doing so because of the load placed on the circuit. This could simply because you’re using too many electronic objects at the same time. It could also mean the wiring doesn’t match the needed capacity of the circuit. Amps are being drawn away from the lights, so they begin to lose power. If it looks like someone has set a small fire near one of your outlets, this is exactly what’s happened. Bad wiring near the outlet can cause the circuit to overload at this point. It starts what’s known as a mini-fire. It quickly burns itself out, but it leaves your outlet looking burned and discoloured. The first thing you should do is replace the outlet. Call in an electrician as well to make sure it isn’t something to do with the wiring. If you can smell something acrid in your home this is a small electrical fire. In most cases, it will simply cause damage to the circuit itself. It’s when materials are near the outlet major fires happen. The first thing you should do is turn off the electricity and call an emergency electrician. Move any materials away from the outlets. Outlets on walls are the most dangerous. If you have any fabric near an outlet, get it out of the way and remain vigilant until a professional arrives. Any switches which give you an electric shock have likely gone bad. This is usually caused by wires in the conduit shorting out. It’s an unpleasant feeling, but at least it tells you exactly what’s gone wrong. Sometimes it’s the device in the plug, the switch, the plug, or the wire. As a test, you can unplug any device and turn the switch on. If there are no shocks, it means the device you’re using is faulty. This usually means you need to replace it. You’ll need to ask your electrician about this. Even he will need to go through a process of trial and error to find out what the problem is, though. This article is written by Marc Alistair, a freelance writer and a serial blogger. He writes article on a wide variety of topics including home improvement, technology and business. He says you can visit the Electrician East Grinstead for any kind of technical issues and other related queries. Human beings have always been fascinated by size. Whether it’s a large house, a large car or a large bank account, it’s probably an attempt to fuel their large egos. There are mega yacht wars going on between billionaires, with Roman Abramovich and his 546 footer at No.1 position. However, none of their toys hold in comparison to some of the magnificent feats accomplished in engineering. 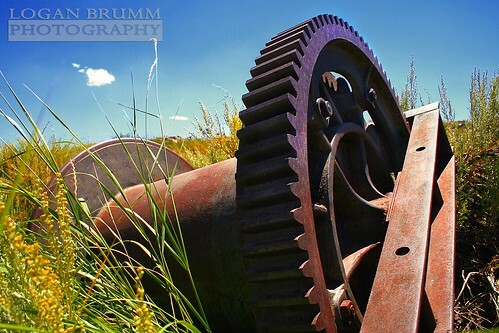 Over the years, we’ve truly built some mammoth machines. Some of them were built for necessity; while others were built because, eh… well because we could. Here are 5 mammoth machines human beings have managed to build so far. If you thought Roman Abramovich was mad for building a 546 foot mega yacht, you haven’t seen the enormity of billionaire egos. Presenting Howard Hughes’ brainchild, the Hughes H-4 Hercules, the largest flying boat ever made with a wingspan of 320 feet and 11 inches. 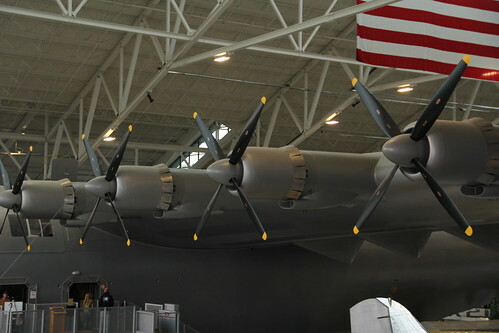 It was a prototype heavy transport aircraft, made of birch wood and nicknamed the “Spruce Goose” by its critics. They had to disconnect telephone and electric lines while transporting this wonder. Films such as Titanic and End of Days have been shot in the hanger where it was created. It’s a nuclear powered ballistic missile submarine deployed in the 1980’s by the Soviet Union. Apart from being incredibly dangerous due to its ability to launch nuclear warheads, it is also incredibly large. Being the largest submarine ever built, it has a submerged displacement of 48,000 tons. Columbian drug cartels are known to use submarines to smuggle cocaine. Just imagine the amount of cocaine that can be smuggled using the typhoon. It’ll be enough for all the addicts in the United States to overdose on. Built by the Marion Power Shovel company, this land vehicle is used to transport spacecrafts from NASA’s Vehicle Assembly Building. So you can imagine how big it is. Costing about $14 million apiece, the crawler is the largest self-powered land vehicle. 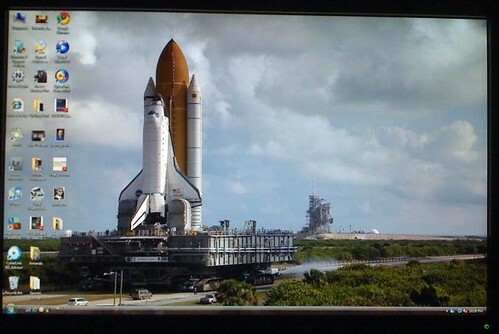 It takes $14 million just to bring the spacecraft to the launch pad; no wonder space programs are so expensive. This is God’s pinwheel, plain and simple. There are two of them in Germany, so picture God holding one in each hand, wearing a propeller cap on his head and reminiscing about his omnipotent childhood. With the largest rotors in the world, it has the capacity to produce electricity for 6,000 households. This massive windmill has been built by Siemens and its prototype model was installed in May 2011. 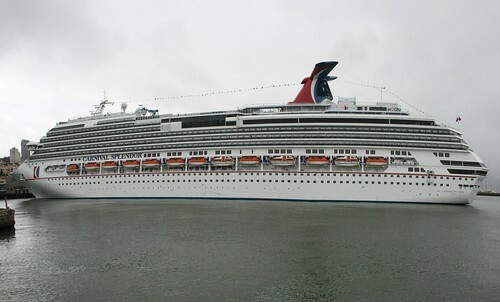 Also known by the name ‘Knock Nevis’, it is the largest ship ever made with a displacement of 657,019 tones. This ship also possessed the greatest deadweight tonnage ever recorded. 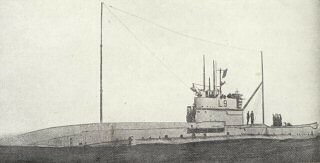 It was incapable of navigating the English Channel, the Suez Canal or the Panama Canal. It was salvaged and rebuilt after being sunk in the Iran-Iraq War. For its final journey the ship was renamed ‘Mont’ and was sailed to Alang, Gujarat, India for demolition. These are some of the largest machines ever engineered by man. They are a testament to the scope of mankind’s ingenuity and power. Today’s guest author, John Walters, works as a sales executive at Rimco Pty Ltd., a well-known manufacturer of polyurethane products in Perth, Australia. Whenever he isn’t busy, he enjoys going for a road trip with his family and friends. Can You Use A Blender Instead Of A Juicer? Blenders and juicers look very similar to each other. You throw lots of fruit into your blender and press a button. The results look very similar as well. It’s led to people questioning why they would ever need any sort of juicer in the first place. There are benefits to having both, though. Let’s discuss why you should have both of these kitchen appliances in your home. The big difference is in what you don’t see. A juicer will create a purer drink. It separates the fibres of the fruit from all the nutrients. For healthier drinks, you should always use a juicer. Blenders don’t have the power or the precision to release the fibres and the nutrients. It means a lot for health enthusiasts. You get less nutritional value from a blended juice drink because it doesn’t release the same amount of nutrients. It keeps many of the nutrients locked in with the fibre. The human body can’t digest fibre so it all goes to waste. Juicing will also increase the rate at which you can digest everything. Since fibre can’t be digested it’s important to separate it from what the body can digest. You’re creating a purer drink. The extra purity allows your intestines to absorb the necessary nutrients at a much faster pace, and therefore reduces the need for energy usage by the body. When Should You Use a Blender? You’re using ingredients with a low amount of water, like avocados. If you placed these in juicers you wouldn’t get a great deal of juice. Most of the fruit would go to waste. You don’t have the money for a juicer. Juicers can be quite expensive and it isn’t a purchase everyone can make. If it’s a choice between a blender and nothing you should opt for the blender. Sometimes you might want to keep the fibre in your drinks. You want to get some extra fibre into your body to help with digestion. Wheatgerm is an example of this. Juicers are designed to create a drink which you can knock back and move on. Blenders will always leave some ‘bits’ at the bottom which will come out in your drink. There’s no getting around this. Even the highest quality blenders will do this to some extent. For health reasons, you should chew your drink before swallowing. Chew the pieces to unlock the fibres. Make it easier for your body to digest the various enzymes and nutrients. This is something so many blender users forget. If you don’t do this, you can experience digestive pains. The body is struggling to digest everything because it hasn’t been properly broken down before it entered the stomach and the digestive system. Victor Green is a healthcare expert, a certified fitness instructor and a passionate blogger. He writes heath related articles in his spare time. He believes in leading a healthy life and recommends buying Nutribullet from ebay.com to help you with your daily healthy diet. So What Is An Ultrabook Anyway? The Ultrabook is one of the latest additions to the computing industry. Lots of people have decided to buy an Ultrabook instead of a laptop. Intel originally came up with the Ultrabook in 2011. Essentially, an Ultrabook is a type of laptop. They used it to refer to powerful laptops which are sleek and lightweight. Most models weigh from 3 to 20 pounds, with a size of about 13 to 20 inches. If a laptop doesn’t fit within these specifications it’s considered a normal laptop and not an Ultrabook. They were originally conceived to compete with tablets from the likes of Apple. The Ultrabook is a marketing tactic which has managed to stick and has entered popular vocabulary. What Qualifies as an Ultrabook? Intel set the standards for what would be considered a second generation Ultrabook. Any laptop must have a thickness of 0.7 inches or under if it’s a 13.3-inch display. This goes up depending on the size of the laptop screen, and it’s slightly different for convertible tablets. All Ultrabooks must use an Intel processor and have a battery life of at least five hours. Ultrabooks must be able to switch back on after entering hibernation mode within eight seconds. Second generation devices must be able to transfer 80MB per second. Since these standards were set by Intel, things have changed slightly. Ever since the term entered popular language other devices which don’t use Intel hardware have been incorrectly referred to as an Ultrabook. What Do You Get from Your Ultrabook? An Ultrabook will always have a very fast processor. You can expect them to move much faster than a normal laptop. The graphics are on par with both tablets and laptops, but they tend to fall down when it comes to gaming. Whilst you can convert a laptop into a gaming laptop, there’s no such choice with the Ultrabook. Intel hasn’t specified anything in relation to RAM, screen size, and the level of connectivity a device needs to be considered an Ultrabook. This depends entirely on the manufacturer. Whilst the definition might seem rigid, Intel has left a lot of room for manufacturers to customise their creations. Before buying one, you should always carry out a lot of research to make sure it’s everything you need. Ultrabooks are expensive because they’re on the cusp of technology. They take the idea of a laptop as the powerful yet portable computer and take it further. They use the latest hardware components to get the most out of their devices. Until the level of technology increases generally, you won’t see any cheap Ultrabooks. The higher the price the larger the screen and the more features you get. You can still find good deals on Ultrabooks, though. If you decided to buy one from the first generation you’d see a significant discount. And if you want to take the risk you could buy from an independent seller on eBay or Amazon. However you get hold of one, make sure you do your research and only buy from a reputable seller. The author, John Denver, is a freelance writer and a popular blogger. He writes on a myriad of topics including technology, blogging, SEO, business and fashion. He suggests his readers to buy Ultrabook from ebay rather than going anywhere else as they provide the best products.